Q: Could you provide our readers with a brief introduction to ZillionGrid? A: The ZillionGrid is the first “Decentralized Hybrid Blockchain Infrastructure” in existence. Those 4 words are chosen by design and explain the concept. 1. “Decentralized” means there is no central company behind it so your data cannot be stolen nor sold. 2. “Hybrid” means we run 3 different server classes: Media, Data and Blockchain servers (or nodes). 3. “Blockchain” means all users and data are validated and authenticated by an immutable blockchain. 4. “Infrastructure” means we have a complete network with hardware resources, Universal Programmer Interface for application building and Software Factory for turnkey software solutions running on the grid. There is a 20 page white paper explaining it in more detail at www.zilliongrid.com. Q: What changes with the introduction of ZillionGrid? A: The ZillionGrid allows everyday people to run their own nodes (and generate perpetual income). Anyone can also contribute in securing blockchains by mining (and generate income) or anyone has the option to sell digital assets they own, be it in the form of documents, reports, images, videos and so on. Via micro payments, any sales transaction executes automatically via smart contracts, cutting out the middleman. No bank accounts or credit cards needed. This grid infrastructure secures participants (real people) and their data (authenticated via Zillion Seal) and if we do it right, people can own their data (instead of getting ripped off or constantly tracked by big corporations such as the Facebooks or Googles of the world). All data is authenticated via “digital fingerprints” meaning no more viruses, malware, spyware, phishing. Ultimately securing a better version of the Internet via the ZillionGrid infrastructure. Q: Can you give us insights into your products? A: The ZillionGrid has 3 main “components” each with their product suites. – First, we have the grid itself running specialized hardware organized in hubs and clusters. We plan on selling fully configured grid nodes. We also plan on selling turn key mining systems to secure blockchains on the grid. All hardware has ROI built in via shared block rewards (nodes and miners share block rewards equally). – Secondly, we have the Universal API component which connects the grid resources to millions of programmers already out there. It includes digital asset registry, REST API and Payment gateway for micro transactions. Out API simplifies blockchain programming and we did all the hard work providing recognizable programming interfaces for any language already in existence. 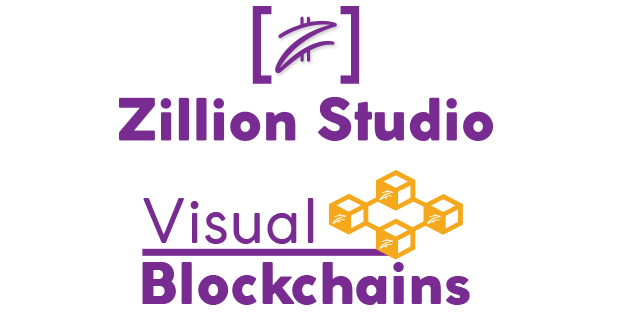 – Thirdly we provide turn key software solutions through our Software Factory such as our “Zillion Browser” (directly integrated with blockchain wallets), “Zillion Login” (QR code login with smart phones) and “Zillion Office Suite” (fully compatible with MS Word and Excel). We also have IPFS based “Zillion Mail”, “Zillion People” is our social media site and we are currently working on “Zillion Messaging” including audio and video communications. We have our own “Zillion Sharding” implemented and we authenticate and validate everything on the grid via our “Zillion Seal” technology. Most of the products just mentioned are in Alpha phase, so we already have working models running on the ZillionGrid. Q: Do you see blockchain technology as a global game changer and why? A: The blockchain is a global game changer, we’ve only seen the beginning of it. Aside from being a financial interrupt, the blockchain promotes innovations in about any other area as well. If you look at the ZillionGrid architecture, you can see that we offer solutions where the blockchain falls short: data storage, information queries and application platform. A: Our immediate plans are bringing the ZillionGrid to life around the World and have people connect to it and find their own uses for it. Anyone can participate and help build a better Internet experience. Take back what was corrupted by the big companies and build something better. And have the revenue it generates be paid directly to yourself. In addition to that we are building better software and a more secure platform, some people call it the Internet of Money. We are certainly building towards that goal. We need you to participate and contribute starting today!